"Silence! All was stripped from me. Only hatred for the brother who fled our homeland remains mine!" Judge Gabranth (ジャッジ・ガブラス, Jajji Gaburasu? ), born Noah fon Ronsenburg (ノア・フォン・ローゼンバーグ, Noa fon Rōzenbāgu? 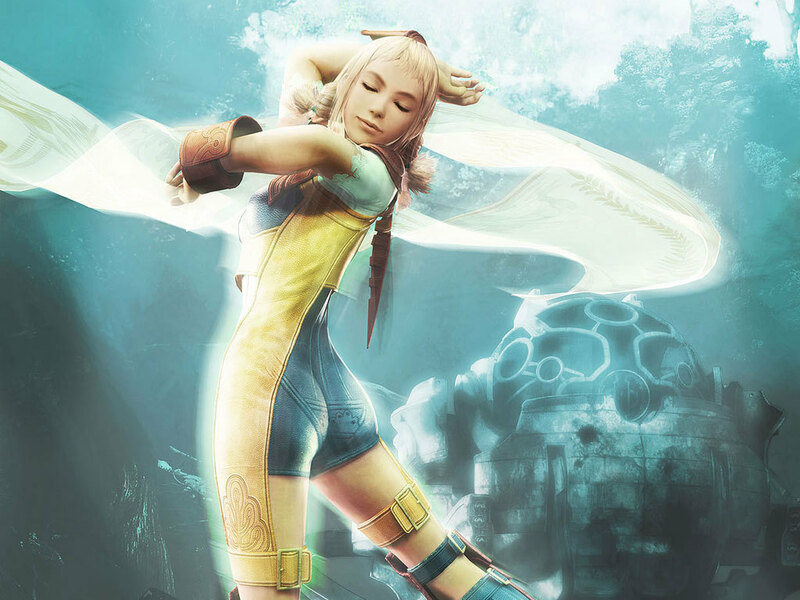 ), is a character in Final Fantasy XII. A major antagonist, he is a Judge Magister, the highest rank possible in the Archadian Empire's military. While he appears to serve the Empire faithfully, a torn and broken man lies behind his lordly façade. He is Basch fon Ronsenburg's twin brother, and is personally responsible for Basch's disgrace and the fall of Dalmasca to Archadian rule. This also makes him a personal enemy of Vaan and Ashe. A silhouette of Gabranth forms the logo for Final Fantasy XII. Gabranth is a tall man with short blond hair and hazel eyes, and as Basch's identical twin brother the two share facial features. Compared to Basch, Gabranth has shorter hair, no facial hair, and lacks Basch's scar over the eye. Throughout Final Fantasy XII Gabranth wears the armor of a Judge Magister, a full suit of plate mail with a horned helmet and a long black cape with the symbol of the Empire in red on the back. Gabranth wields two swords in battle, the longer Chaos Blade and the shorter Highway Star, which can connect at the handles into a dual-bladed weapon. Throughout Final Fantasy XII Gabranth demonstrates a ruthless and cruel demeanor, imprisoning his brother and keeping him alive while informing him of every failure his former knights suffer after the Archadian occupation. Despite his cruel attitude, Gabranth remains a respectful follower to Emperor Gramis, to the point the Emperor trusts him enough to appoint him bodyguard to his son Larsa. Even though he acts as a faithful soldier to the Empire, Gabranth's motivations are related to his profound hatred towards his believed dishonorable failure at protecting Landis, and in turn he directs his hatred towards Basch for abandoning him and his mother to fight for Dalmasca. By the end of the story, Gabranth is a broken man, regretting even more his defeat to his brother and failing to protect Larsa. After his showdown with Basch, Gabranth regains his motivations, and makes amends with his brother. "Why do you hesitate? The cryst is a blade, it was meant for you. Wield it. Avenge your father!" —Judge Gabranth goads Ashe to use the Sun-Cryst. Noah and Basch lived and grew up in the Republic of Landis before it was invaded by the Empire. During the invasion, Basch fled their hometown to the Kingdom of Dalmasca to serve with the military, while Noah moved with his sickly mother to Archadia, her homeland. There, he adopted his mother's surname, Gabranth, and joined the Archadian Military. He quickly climbed the ranks, and with the backing of Emperor Gramis became Judge Magister. Gabranth was placed in charge of the 9th Bureau, primarily concerned with the gathering and dissemination of information for the Emperor. Two years before the main events of Final Fantasy XII, Gabranth was present at Nalbina Fortress where he killed King Raminas of Dalmasca while impersonating his brother, Basch. In the manga adaptation of Final Fantasy XII, Vayne orders Gabranth to do this, believing Basch's treachery and Raminas's death will give him an excuse to suspend peace negotiations and push his father to take over Dalmasca in full. The two spread rumors of an assassination attempt on the king's life to trick Basch and a force of his soldiers to storm the Fortress and "rescue" Raminas. In reality this was a ruse to get Basch at the scene: Gabranth poses as Basch and attacks the Dalmascan officials present, killing them before pursuing Raminas. The two run into Basch and Gabranth engages him, giving Basch a facial scar over his left eye before defeating him. Gabranth then kills Raminas, and to ensure that the trick is successful, one of Basch's soldiers, Reks, witnesses Gabranth (as Basch) confess to the murder. For the next two years, Basch would be locked up in the Nalbina Dungeon framed for regicide, Gabranth visiting regularly to interrogate him about the Resistance that rose to oppose the Empire. Gabranth protects Vayne from Vaan. With Raminas dead, the peace negotiations failed and Archadia's invasion of Dalmasca became total, placing the city of Rabanastre under Imperial control. Two years later, Gabranth and Vayne, then appointed consul of Rabanastre, arranged a banquet to celebrate Vayne's arrival, and Gabranth made sure the security forces of the palace were spotty. This too was a ploy, to draw the Resistance to attack, at which point the airship Ifrit and the Archadian forces outside the palace attacked to repel them. Coincidentally, Reks's brother Vaan had infiltrated the palace to steal that night, and flees during the attack. As he runs Vaan sees Gabranth and Vayne speaking. When Vaan is caught and brought before Vayne, he attempts to strike him but is blocked by Gabranth and thrown back before he can reach his target. Though Gabranth suggests Vayne show mercy as Vaan is not with the rebels, Vayne orders him executed and the two depart. Vaan mentions his brother was at the forces stationed at Nalbina Fortress, but at this time Vaan and Gabranth do not realize the deeper connection between them. The night after the palace attack, Gabranth visits the Nalbina Dungeon where Basch is being held captive, and berates Ba'Gamnan, a bounty hunter searching for Balthier, a Sky Pirate captured along with Vaan and Fran. The three follow Gabranth to the chamber where Basch is held, where Gabranth interrogates him on the capture of Amalia, a member of the resistance who is actually Ashe using an alias. When Gabranth leaves Basch is freed by Vaan, Balthier and Fran, and the four escape the dungeon together. Still in Rabanastre, Gabranth tells Vayne that the imperial resistance in Bhujerba is suspiciously well-funded, and suspects Marquis Ondore to be behind them. Gabranth assists Vayne in searching the palace for the Dusk Shard for a period of time, but they are unaware it was stolen by Vaan before he fled the palace. Drace and Gabranth discuss Larsa. Some time after, Gabranth returns to Arcadia and reports Vayne's activities to Emperor Gramis, alerting him to Vayne's possible hand in the destruction of Nabudis through Judge Zecht, and his funding of Dr. Cid's experiments at Draklor Laboratory. Gramis worries he no longer knows Vayne's intentions and asks Gabranth to protect Larsa so that he does not become as brutal and merciless in his elder years as Vayne has. Judge Drace also confides in Gabranth that she fears for Larsa's safety due to the Imperial Senate desiring him an easily-manipulated heir over Vayne, and the two agree to defend him. After Gramis's death, Drace accuses Vayne of killing him, and she is subdued by Judge Bergan. Aware of Gabranth informing Gramis of his actions, Vayne appoints him as Drace's executioner as a test of loyalty. Reluctantly, he kills the Judge, but with her dying breath, she asks Gabranth to guard Larsa in her place, to which Gabranth promises that he would. Later, Larsa urges Vayne to make peace with Ashe to avoid a war with the resistance, as the neighboring Rozarrian Empire would use this as a pretense to invade Archadia, beginning a second, much more destructive war with Dalmasca as the battleground. Believing Ashe wants a war, Vayne sends Gabranth to track her and ascertain her desires, and kill her if a war is indeed her intent. Atop the Pharos at Ridorana, Ashe approaches the Sun-Cryst, which she could use to cut shards of nethicite to use to fight the Empire. Gabranth emerges and urges her to do so, revealing he was the one who killed Raminas. Though enraged Ashe ultimately refuses the Cryst's power, realizing her vengeance will only lead Dalmasca to ruin. The dumbfounded Gabranth attacks them, but is defeated. Dr. Cid arrives, telling Gabranth that he is pitiful for failing Larsa and that he no longer serves any purpose, and when Gabranth attempts to strike the doctor Venat throws him back. The disgraced Judge Magister retreats unseen afterwards. Cid's actions aboard the Sun-Cryst spill a powerful Mist over Ivalice, allowing Vayne to activate the Empire's most powerful weapon that until then lacked the needed magical energy - the Sky Fortress Bahamut, a massive airship. Aboard the Bahamut Gabranth again confronts the group, apparently still wounded and unable to understand how Basch has held onto his pride and honor despite repeated failures. Considering his disgrace the punishment he is due to aiding the Empire after they destroyed Landis, Gabranth attacks them again and is struck down, Basch urging him to reclaim his name and honor. The party leaves Gabranth to confront Vayne, who uses Cid's manufacted Nethicite to become Vayne Novus. Wounded and stumbling, Gabranth reaches the scene of the battle and raises his sword to Vayne, assisting the party in stopping him. As the battle ends Gabranth strikes Vayne with his empowered sword, but Vayne knocks him back with a powerful punch. As Gabranth lays in Basch's arms, Vayne summons his Sephira to finish him off but is stopped by Larsa, who uses his own nethicite to absorb his magic. Vaan then picks up Gabranth's fallen sword and strikes Vayne a second time, wounding him greatly and forcing him to retreat to the exterior of the Bahamut. In the subsequent battle Vayne and Venat merge into The Undying, and are destroyed together. Basch takes up Gabranth's armor to serve as Larsa's protector. With Vayne dead the party retreats to the Strahl to escape the falling Bahamut, and bring Gabranth aboard. With Larsa and Basch by his side, Gabranth asks Basch to protect Larsa in his stead, as the Arcadian Empire would fall into strife without House Solidor to lead them, and Basch agrees. Shortly afterwards, Basch impersonates Gabranth to announce a ceasefire to the Arcadian fleet, ordering them to withdraw. The masquerade persists as Basch takes up Gabranth's armor and accompanies Larsa back to Arcadia, serving as his bodyguard. Gabranth's appearance in Final Fantasy XII's bestiary. The party fights Gabranth twice, at the Pharos at Ridorana and on board the Sky Fortress Bahamut. Gabranth focuses mainly on Basch, if he is in the active party, and two short optional cutscenes occur if Basch is in the active party during the battles. He also assists the party during the battle against Vayne Novus. Gabranth is also present in the Trial Mode, at Stage 100, in the International version. "Theme of the Empire" (帝国のテーマ, Teikoku no teema) plays during the first boss battle against Gabranth at the Pharos at Ridorana. Composed and arranged by Hitoshi Sakimoto, it is the eleventh track in Disc 2 of the original soundtrack. "Desperate Fight" (死闘, Shitō) is the boss battle theme that plays during the second battle against Gabranth at the Sky Fortress Bahamut. Composed and arranged by Hitoshi Sakimoto, it is the fifth track in Disc 3 of the original soundtrack. 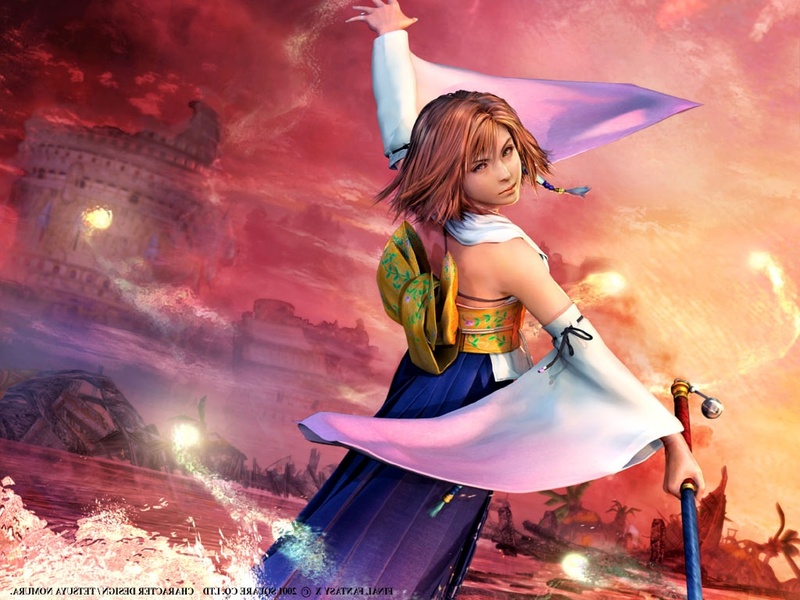 The theme can also be unlocked in Dissidia Final Fantasy, given the title "Fight to the Death" - another translation of the Japanese track name. 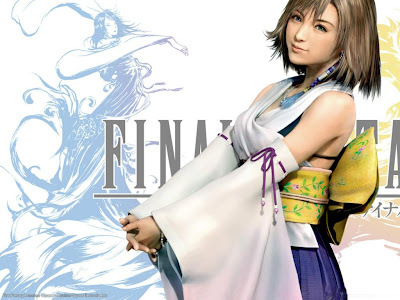 While it represents the third of three tracks from Final Fantasy XII in that game, it is not available in the original soundtrack. In the English version of Final Fantasy XII, Gabranth is voiced by Michael E. Rodgers, while he is played by Keith Ferguson in the English versions of Dissidia and Dissidia 012, who had previously voiced Gabranth's brother Basch. In the Japanese versions of Final Fantasy XII and Dissidia, he is voiced by Akio Ohtsuka. In Final Fantasy XII Gabranth has an echo to his voice when he speaks with his helmet on. 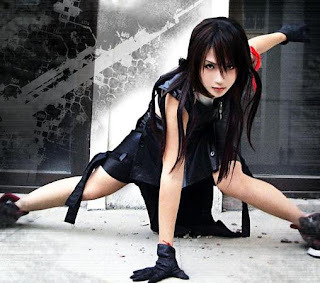 This is absent in Dissidia and Dissidia 012. Gabranth appears in Dissidia Final Fantasy representing Final Fantasy XII, and plays as a special character, assumed to oppose Shantotto. He has little influence on the story, being an extra character as well as the only one from Final Fantasy XII, appearing only once in the main storyline. In the bonus storyline Distant Glory, Gabranth is the guardian of a hellish dimension where warriors slain in the cycle of conflict are entrapped when they perish. The player's character is trapped in the dimension as well and fights to escape, Gabranth taunting them and telling them of his disgrace as they battle their way to the gateway out of the dimension. Gabranth then battles the player to determine if they truly deserve the right to live or not. His alternate outfit is a black palette swap based on his artwork by Yoshitaka Amano. Gabranth reappears as a Warrior of Chaos in the prequel to Dissidia Final Fantasy alongside all the other characters from the original. His role in the previous game is expanded on - Gabranth took part in a previous cycle of war and fought Shantotto with the intent to kill Cosmos and end the wars, however he fails. At a later cycle, desperate to escape, Gabranth threw himself into the Interdimensional Rift, eventually surfacing as the guardian of the aforementioned hell dimension. 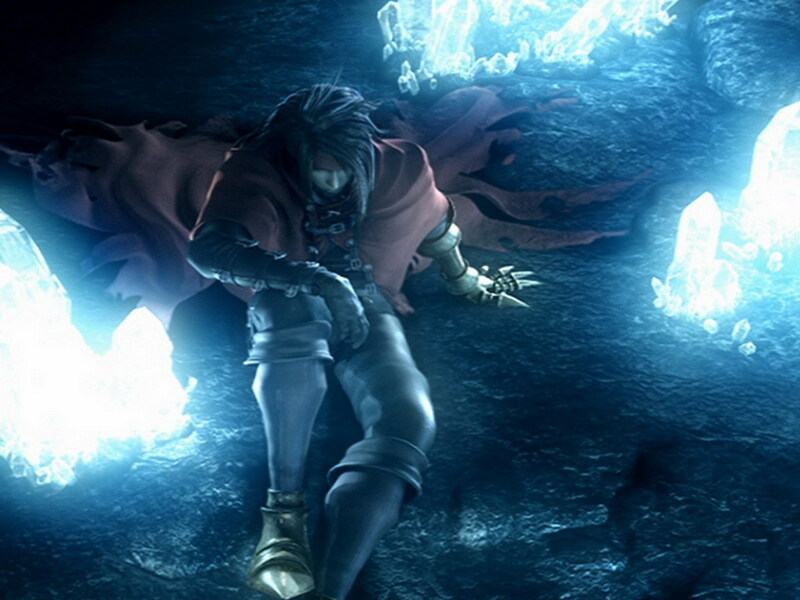 In the storyline "Confessions of the Creator", an optional gateway named "Land of the Stolen Crown" leads to Gabranth as a reenactment of his Distant Glory storyline from Dissidia. Gabranth's third outfit is based on his disguise as Basch, used when he assassinated King Raminas. Gabranth will appear in this game as an enemy. A card of Gabranth's Manikin in Dissidia, the Warrior of Antiquity, appears in the Final Fantasy Trading Card Game. Gabranth battling Basch in the Final Fantasy XII manga. Gabranth in the Final Fantasy XII manga. Gabranth's icon in the Sky Pirate's Den, rewarded after getting every Concurrence. Life size replica of Gabranth's helmet. Render of Gabranth's first alternate outfit from Dissidia, based on his Amano artwork. CG render of Gabranth from Dissidia 012. Render of Gabranth's second alternate outfit from Dissidia 012, based on his Basch disguise. Trading card of the Warrior of Antiquity. Trading card of Gabranth's render. The longer of his dual bladed weapon, the Chaos Blade, originally appeared in Final Fantasy Tactics as a Knight Sword and strongest weapon in said game. The shorter sword, the Highway Star, is likely named for the Hironobu Sakaguchi-designed racing game, Highway Star, also known as Rad Racer outside of Japan. It also shares a name with Deep Purple's 1972 hit, Highway Star. A Judge that resembles Judge Gabranth appears in concept art for the Final Fantasy XII spin-off game Fortress, although he wields a lance rather than a sword. It is unknown whether this character is Gabranth, Basch, or an unidentified character. Gabranth's biography in Dissidia Final Fantasy reveals he is the younger twin, and Basch is the older twin. The Japanese release of Final Fantasy XII had always stated this, but the mentions of which twin was the elder were removed in the English translation.